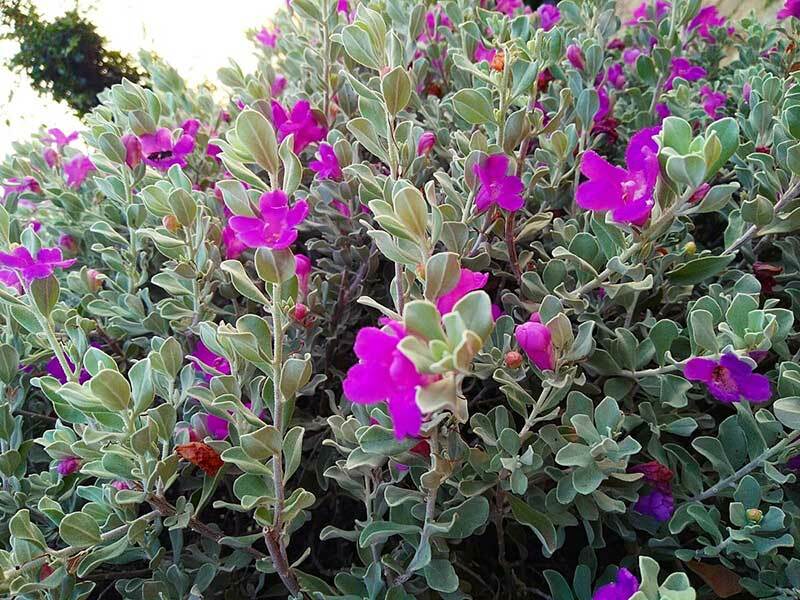 Drought-tolerant plants let you have a colorful, healthy garden even when your area isn’t getting the rain it needs. When a plant can tolerate drought, you don’t have to give it as much water from an irrigation system, thus saving water and preventing the plant from dying. Drought-tolerant plants look just as good, if not better than their drought-intolerant cousins, and in some cases, the plants offer additional benefits. This colorful family of plants looks like it has masses of bright flowers, but those colorful “petals” are actually bracts, which are more leaflike in structure. The real flowers are tiny cream-colored flowers hidden within the masses of bracts. 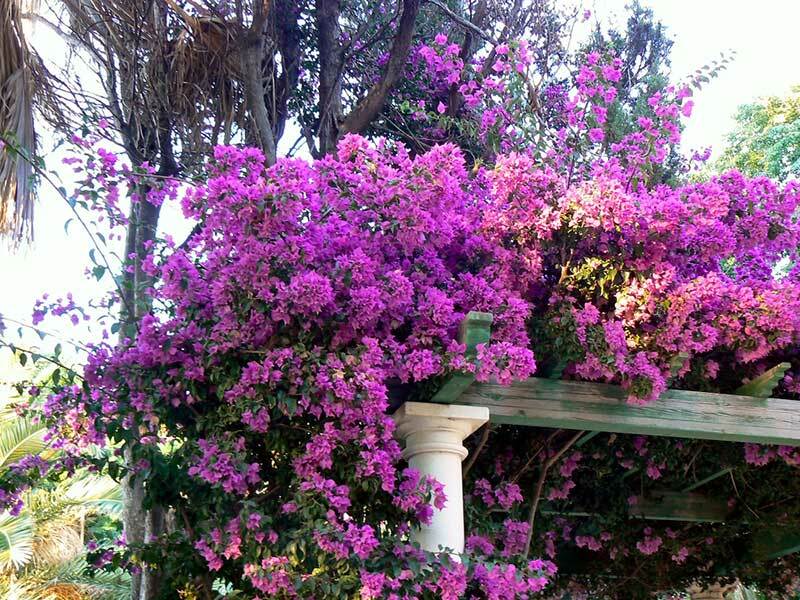 Bougainvillea is a rambling shrub that can wind around trees and climb up walls. It handles hot, dry weather beautifully and is common in locations like the West Coast. 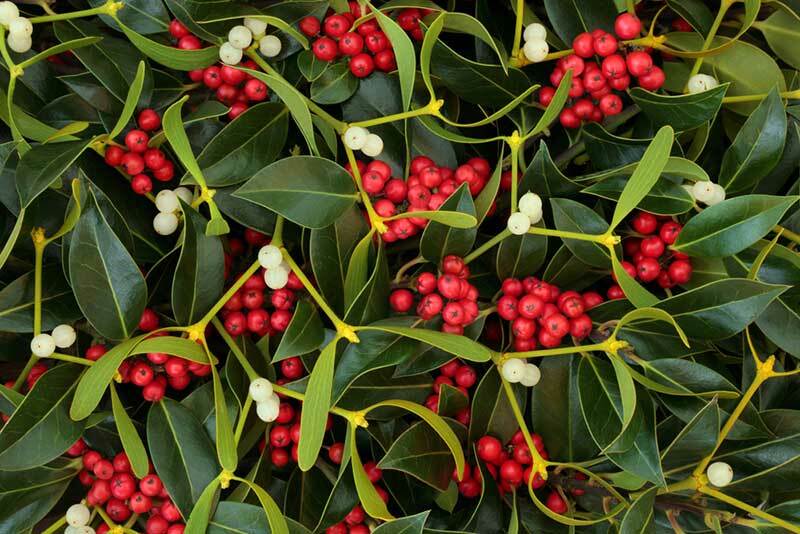 This medium-sized shrub can grow to 15 feet with a 12-foot spread, and it works well as a hedge. It is considered invasive in the Northeast, but in states where it is not considered invasive, it likes full sun to part shade and can tolerate air pollution. It’s a fairly low-key plant in terms of maintenance with few pest problems, and it grows best in zones 3-8. Winterberry is a good shrub for locations with poorly draining soil. Its masses of red berries attract birds, and if there’s a spot in your garden with acidic soil, this is a great plant to add. 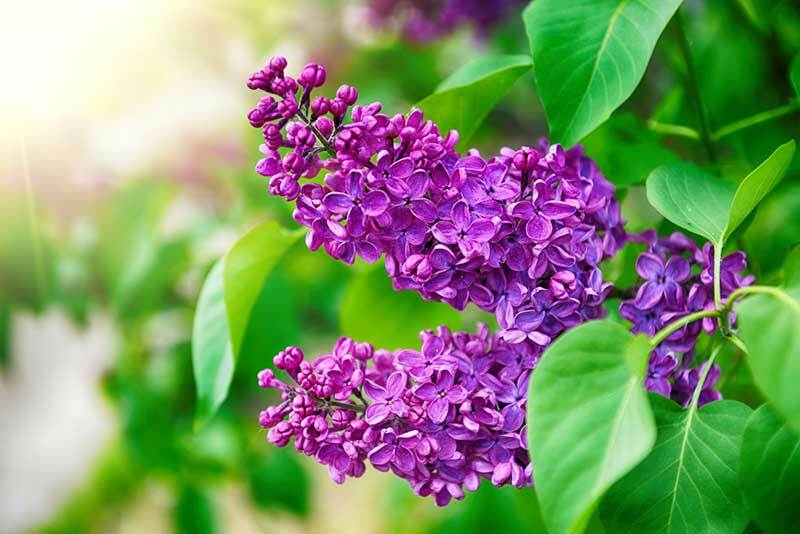 Most lilacs are good for areas where drought is more occasional than a regular visitor, although you can find California lilacs that are very drought-tolerant. Be aware that well-watered lilacs can attract deer. Full sun and good circulation are critical for healthy plants. 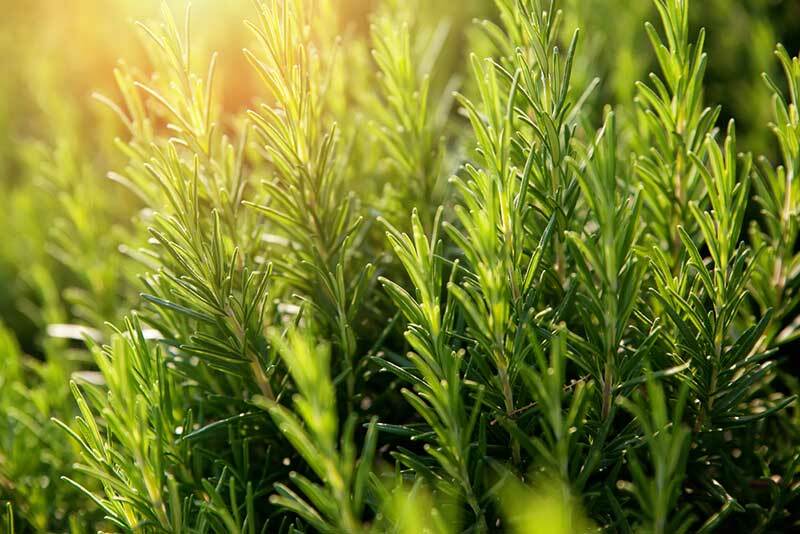 Grow an edible garden with shrubby herbs like rosemary. This shrub can grow to about 6 feet in some cases, but you’re more likely to see it in much shorter hedgelike forms. It’s edible, of course, and it tolerates drought quite well. Plant in-ground or in containers. This spindly, low-maintenance perennial tolerates just about everything — drought, deer, poor soil — except bad drainage. 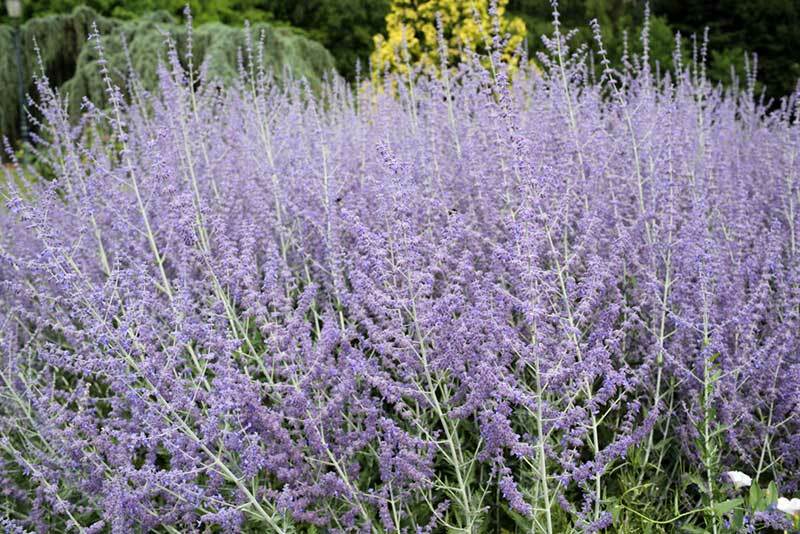 As long as the soil drains well, and the spot is in full sun in zones 5-9, Russian sage should do quite well. Even in normal rain years, you can get away with watering it only a little. This short, easily trimmed and shaped hedge has yellow flower clusters that burst forth in a riot of color. 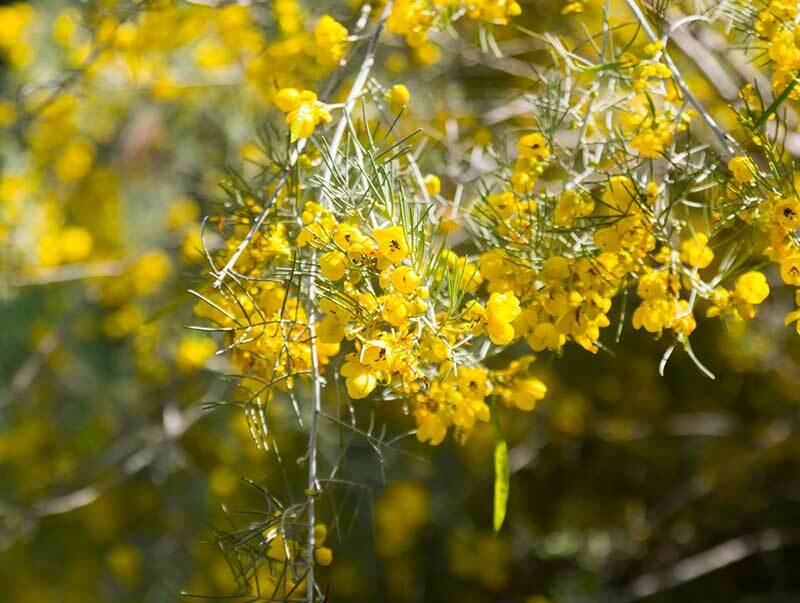 This is an Australian plant that does very well in dry Southwestern gardens. In winter or whenever your rainy season is, you may not have to water the plant at all. Also known as Texas barometer bush, this shrub has flowers that bloom when rain falls or when the soil is very moist (that’s why it’s called the barometer bush). It’s found in the New Mexico and southwestern Texas deserts and does well in dry, rocky soils with little rain. The plant has lovely purple flowers and is suitable for zones 8-10. 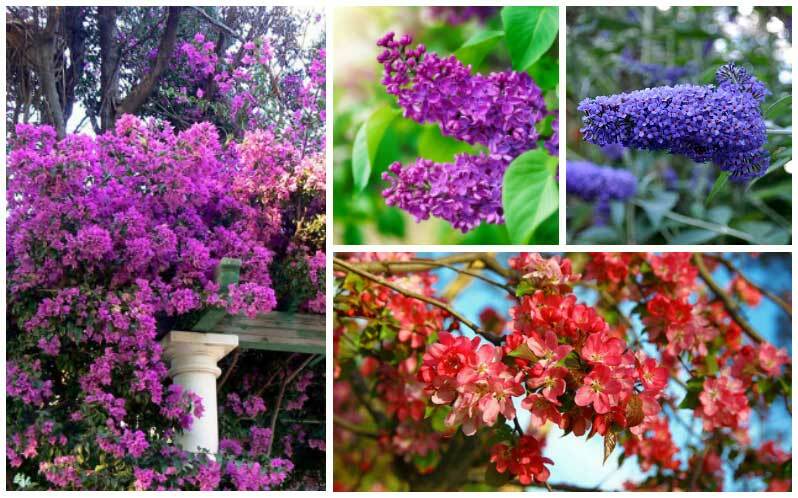 It’s great for garden hotspots and requires little care past establishment. You can use it as a border plant, a container plant, or even a windbreak if you can get the plant to grow to its maximum height of about 8 feet. 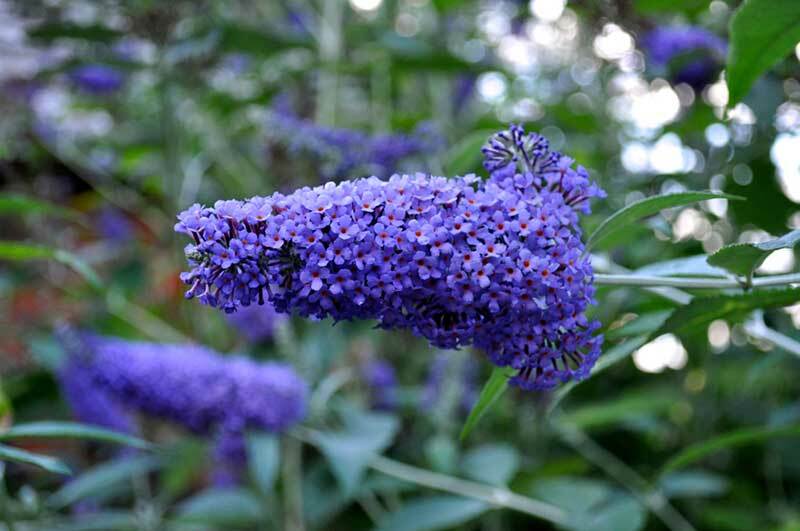 Butterfly bush gets its name from the butterflies that like to use it as food. If you want to set up a pollinator garden or simply have a few snack plants available for butterflies, the colorful clusters of flowers of the butterfly bush are a welcome sight. 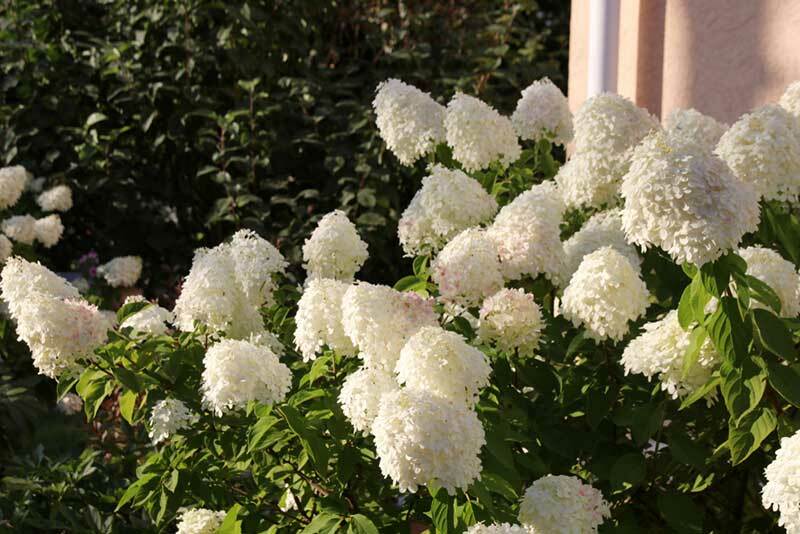 It’s very good for dry areas and provides fragrance and color toward the end of summer. Zones 5-9 are best for this plant. You can use it in borders, but it works well as a large shrub left to produce tons of flowers. 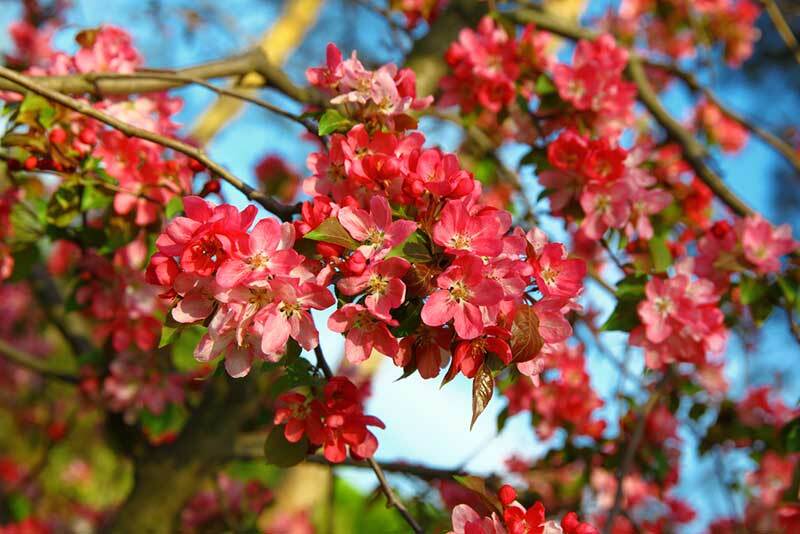 This gorgeous, huge shrub has big red flowers that can’t be missed. It’s a wonderfully showy plant that is low-maintenance and that produces fruit you can eat, albeit in things like jellies (it’s not so good for raw eating). The shrub can reach 10 feet high and spread quite a bit. Fungal diseases can be a problem, but the plant is great for dry or clay soil. It does sucker, so you’ll need to remove those on a regular basis. Note that pruning to improve next year’s bloom can reduce the fruit you get this year. This is a thick shrub that’s good for use as a screen. Frost can be an issue in colder regions, so take protective measures. Good for zones 4-8.